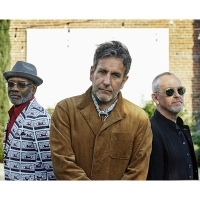 The Specials are an influential ska/pop/rocksteady outfit from Coventry, formed in 1977 and later to become part of the UK Two-Tone scene in the late '70s/ early '80s. Key members have included Terry Hall, Jerry Dammers, Lynval Golding, Neville Staple, Horace Panter, Roddy Byers, John Bradbury (who passed away in 2015) and various horns. As of 2019, the band features founder members: Lynval Golding, Horace Panter and Terry Hall, plus: Tim Smart, Drew Stansall, Nikolaj Torp Larsen, Steve Cradock, Pablo Mandleson and Gary Powell. Their key albums include "Specials" (featuring "A Message To You Rudy", "Monkey Man", "Too Much Too Young" and "Nite Klub") and "More Specials" (featuring "Rat Race" (on some versions), "Do Nothing" and "International Jet Set"). The non-album single "Ghost Town" gave them a number one in 1981. Fri 19th Jul 2019 The SpecialsHarbourside (Bristol)More Info..